Ingram Lawn & Garden prides itself in our attention to detail while cutting and maintaining your lawn and landscape, that's our business. Landscaping and lawn care is one of the most cost effective ways to improve the curb appeal of your home and add real value. After completion of cutting your lawn we inspect the property to ensure all areas were cut and trimmed properly. Grass clippings will remain on the grass so they can decompose naturally adding valuable nutrients. Property management services include: weekly lawn cutting and maintenance, core lawn aeration & over-seeding, seasonal weed & feed programs, hardwood mulch installation, shrub trimming, landscape contractor services, landscape design & tree & shrub plant installation, weekly weeding of landscaped beds, seasonal flower plantings, spring and fall cleanup, leaf collection, leaf removal, grub control, lime applications, crabgrass control applications, outdoor mosquito & tick control and more. Our specialty is one stop service programs for your complete property management. 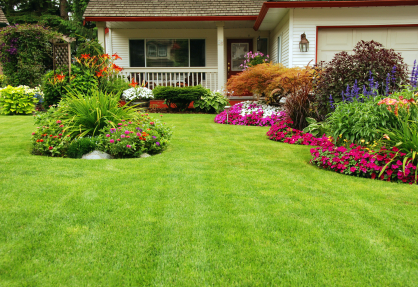 We take control of the outside of your property (lawn & landscape) to insure it always looks it's best. This service includes the cleanup and removal of any fallen tree limbs, broken branches, ornamental tree & shrub pruning and trimming, weed removal, leaf removal, mulch application, pre-emergent applied to landscape beds, gardens edged and debris clean-up. It's important to clean up the lawn before fertilizers are applied. This fall maintenance service includes the cleanup and removal of any fallen tree limbs, broken branches, ornamental tree & shrub pruning and trimming, weed removal, gardens edged and debris clean-up. It's important to remove all leaves and debris from the lawn before fall and winter fertilizers are applied. Weed removal from landscaped beds along with garden edging. Typically, we preform this service weekly which is the most cost effective approach. Looking for some seasonal color throughout the growing season. Have us plant your seasonal flower beds which will add continual bloom and color. Our program includes composted soil, fertilizer and a variety of annual plantings for constant blooms. At the end of the season we will remove the old plants and prepare the soil for the next season plantings. As needed shrub and hedge trimming and maintenance during the proper seasonal pruning times. Specialized hand pruning of each of your ornamental trees and shrubs by experienced staff. Optimum pruning times vary by plant. Helps prevent the growth of new weeds. It will not help with existing weeds. Removal and replacement of any damaged, dead or diseased plantings. We also freshen up and plant new trees and shrubs as requested. Spot seeding in bare spots or for larger areas installation of sod. 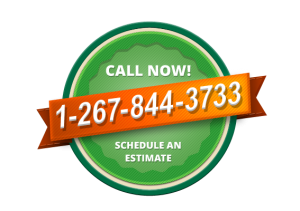 Click here to request an estimate for Residential Property Management & Maintenance Programs.